Dominic Kotarski, @DominicKotarski a certified behavioral Master Coach will be at the Life Changing Event this September 15th, 2018 at the Kampala Serena hotel. Registration CLOSES on 6th September, 2015. Storm Group is the largest Direct Sales and Marketing company in Scandinavia. 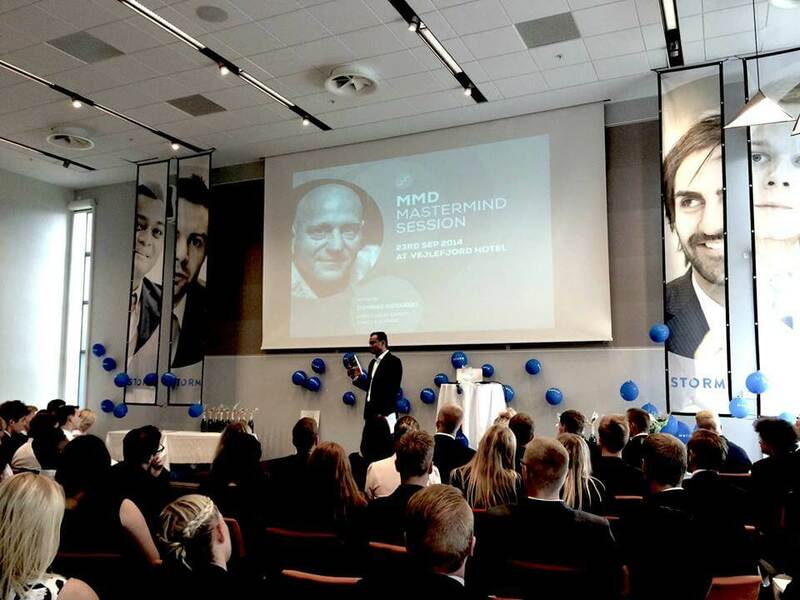 Dom Kotarski was interviewed in Copenhagen when he was delivering a Management Mastermind Group Workshop to senior Management. This interview is a nice piece for a deeper understanding of the direct sales industry both from a sales professional’s perspective and a potential client’s perspective in the sense of better understanding the power of having a Direct Sales partner. We all need guidance in our businesses no matter what type of business we’re in. There is a new way of doing business and it’s paramount to create space for personal inspiration in order to invite collaboration. We no longer just sell a product but listen and hear what people want and make it fit their needs. Today’s show is all about sales with business tips and knowledge from our guest who’s a successful author, master coach, and entrepreneur. Here’s Sara Troy’s interview with Dominic Kotarski on building your business with the right intention. The art of making a sale by Dominic Kotarski. Selling is an art form and the skill of selling is forever changing in today’s market, are your skills ready to sell in today’s climate and guide your team to success? A few years ago I was asked by the notorious videographer Christina Waschko aka “The Motherpreneur” to be interviewed for her youtube channel MotherpreneurTV. My interview was about “How to be a Great Husband” and while I’m not so sure that “Great” would be the word I would choose to describe my husbandry abilities, I still wanted to share some of the relationship experiences I’ve gained over the years. I hope you enjoy the interview and I would like to encourage any engagement, insights, issues or challenges you might like to share in the comments section below this post. Unfortunately, there are no cut and dry one size fits all husband and wife templates. But this video explains how two unique entrepreneurs with young children were able to make it through a very demanding, time crunching and crazy phase of life – raising 3 young children and running two distinct businesses which were both not based at home.